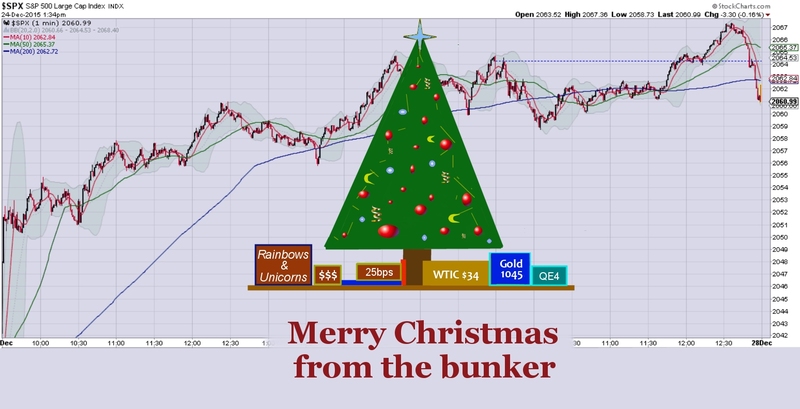 With just four trading days left of 2015, its time for a three day holiday break :) Merry Christmas to all my readers/traders across the world. 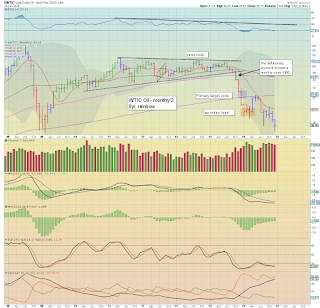 The monthly/year end close will be important. 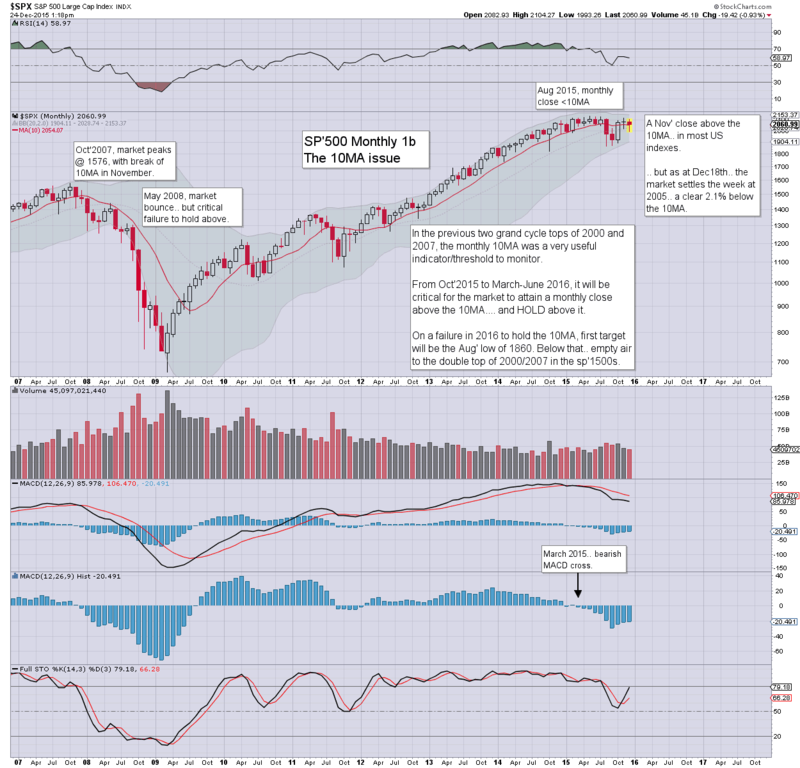 Right now, it would seem the sp'500 will attain a third consecutive close above the 10MA (2054). Underlying MACD (blue bar histogram) cycle remains negative, and even if the market can break AND hold new historic highs, it will take at least another 2-3 months before we might see a definitive bullish cross. 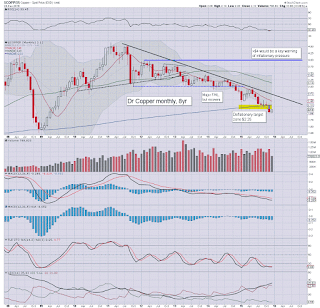 The monthly 'rainbow' chart makes the situation rather clear. 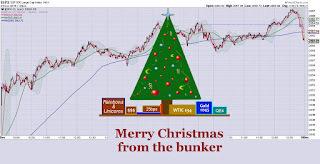 There is ZERO sign of a floor/turn, with December breaking a new seven year low of $34.53. 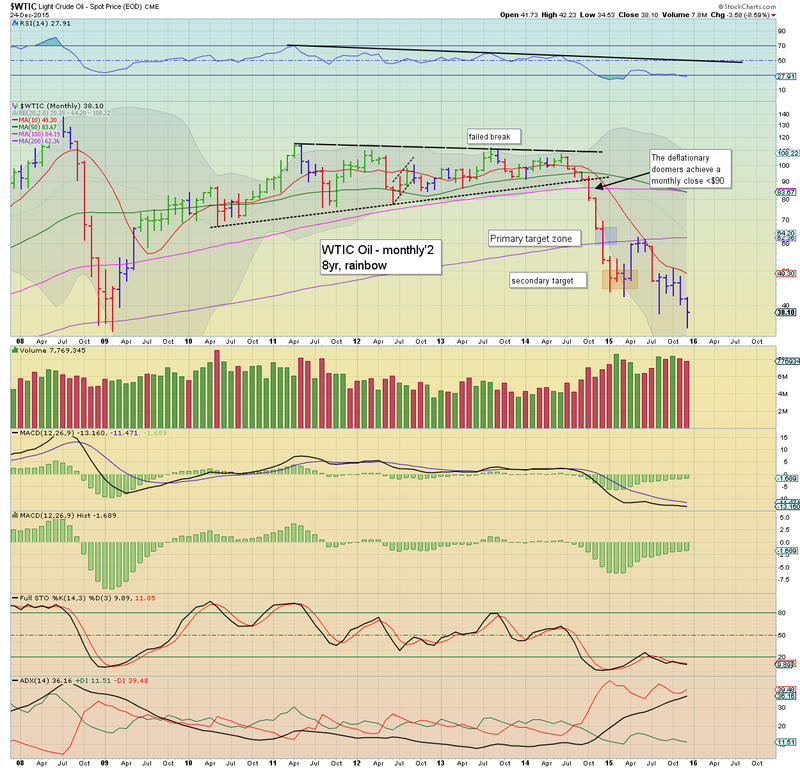 The monthly 10MA will be around $45 in mid/late Spring 2016, and until that is closed above, Oil bulls can't get confident that we won't yet see sub $30 before there is supply side capitulation. 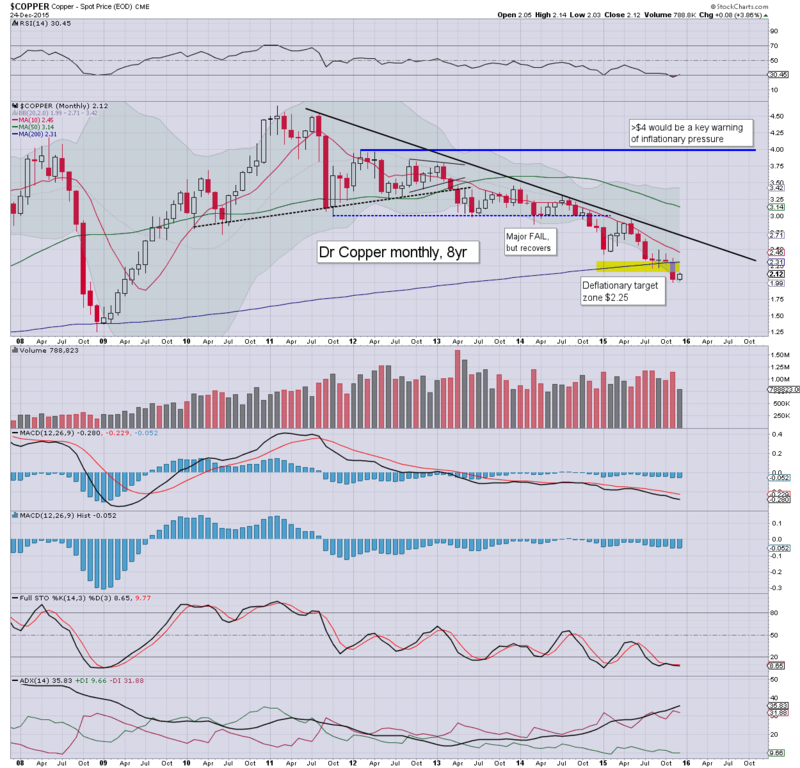 Despite a likely net monthly gain of 3-4%, Copper remains very close to multi-year lows. 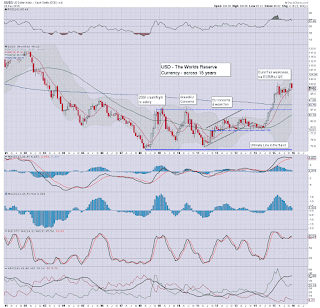 Further weakness under the $2 threshold remains a high threat. 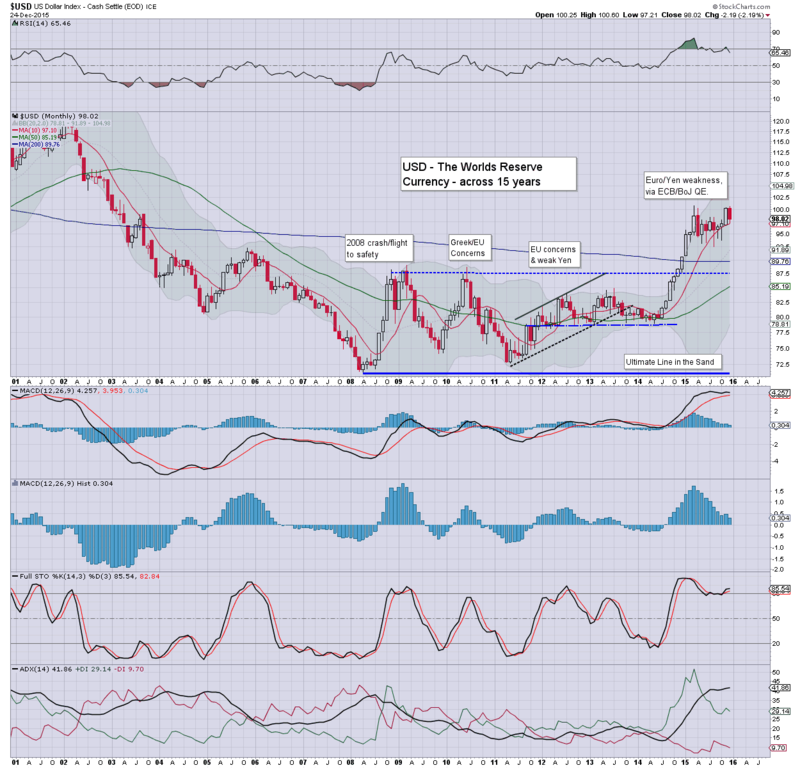 The USD began the year in the DXY 90s, and regardless of the remaining 4 trading days of 2015, the USD is set for a net yearly gain of around 9%. 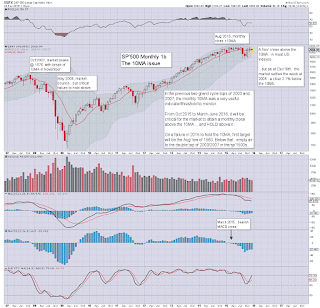 *the weekend post will be on the US weekly indexes.